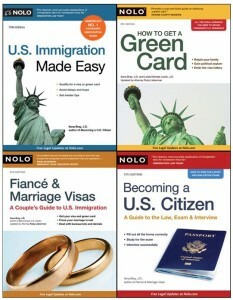 Nolo’s founding happens to have coincided with a quantum leap in the numbers of immigrants coming to live permanently in the United States (with a green card). Back in the white-picket-fence 1950s, typical annual immigration to the U.S. was about 250,000 people. That number doubled in the 1970s, largely reflecting new laws that scrapped quotas favoring immigrants from Europe. The numbers of immigrants doubled again by the 1990s, and now over a million people receive U.S. green cards every year. Not surprisingly, the immigration laws have been reworked numerous times over the same time period, reflecting contradictory U.S. impulses. On one hand, legislators have sought to gain the advantages of immigrants’ expertise, investment dollars, and willingness to work; and to protect victims of war, political injustice, and humanitarian crises. On the other hand, as the number of newcomers has risen (and perhaps not coincidentally, the number coming from European countries has dropped to a tiny minority), the trend has been to limit the numbers of immigrants, or the benefits available to them, in efforts to protect U.S. jobs, resources, and security. The result is a tangle of legislation that’s widely considered more complex than the Tax Code, implemented by a massive and often dysfunctional bureaucracy. Nolo’s first book on immigration law came out in 1995. We now offer four books on the topic, all of which have been rewritten numerous times, to help people navigate through the shifts in course and the bureaucratic whirlpools. With many prospective immigrants unable to afford legal help, or confused about whether they’ve got a chance at a U.S. green card or other immigration benefit in the first place, these books continue to serve a valuable function.